While locals hate the name "Silicon Beach," the LA tech scene is becoming a real rival to Silicon Valley. We've compiled a list of the 25 hottest startups that investors, founders, and networkers in the Los Angeles tech scene are buzzing about. To limit our list, we excluded those older than five years, which eliminated some popular picks, like Headspace. Jessica Alba's Honest Co. has created a commerce empire selling nontoxic versions of bath and baby products. What it is: What started as a line of baby diapers has turned into one of LA's hottest startups. Jessica Alba's Honest Co. makes nontoxic and eco-friendly products, ranging from baby supplies to cleaning products. In September, it also launched a new beauty line, Honest Beauty, to make more natural make-up. The company has secretly filed for an IPO, according to reports, so it may be the last year the startup qualifies as such. Founded: 2011 by Jessica Alba, Brian Lee, Sean Kane, and Christopher Gavigan. Funding: $230 million from investors, including Fidelity Investments, IVP, General Catalyst, and Lightspeed Venture Partners. 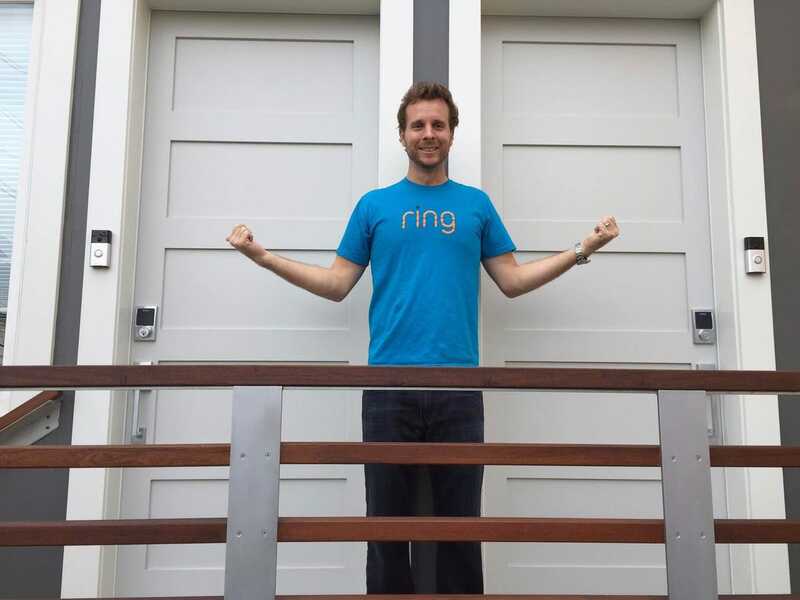 Ring makes a doorbell that lets you see who's at the door. 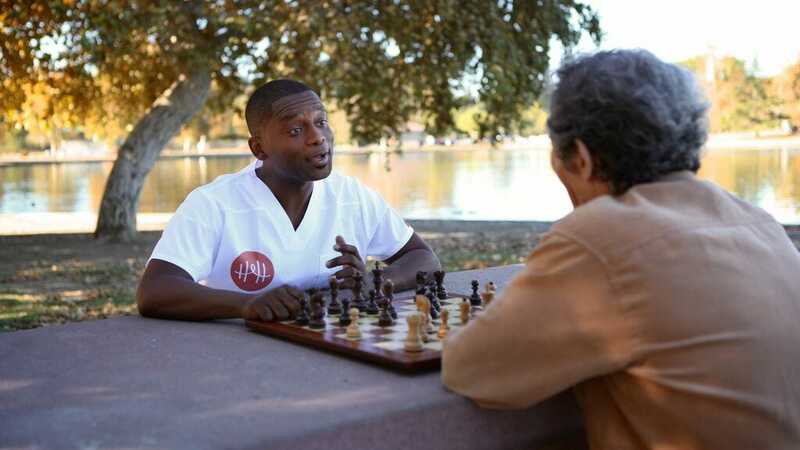 What it is: In September 2013, Jamie Siminoff went on "Shark Tank" and totally failed. The judges all rejected him except one, who made a terrible offer. Yet customers — and eventually Richard Branson — saw something the judges missed. Everyone wanted a doorbell that could show you who is at the door. Ring is simple: When someone presses on the doorbell, it "rings" your smartphone with a video feed. You can reject the video call or accept it and start talking to whoever is at the door. Ring's customers use it to do everything from telling a delivery man to leave a package at the door to telling a neighbor to come around to the back door. Founded: 2012 by Jamie Siminoff as DoorBot. Siminoff rebranded the company as Ring in 2014. Funding: $38.81 million from Richard Branson, True Ventures, Shea Ventures, American Family Insurance, Upfront Ventures, and others. Scopely is the mobile-game creator Zynga should have been. What is it: Described by one investor as the "company Zynga was supposed to be," Scopely has spent the last four years creating success after success. The mobile-gaming company was founded four years ago and soon launched its first game, "Dice with Buddies." Since then, it's released more hits like "Yahtzee with Buddies" and "The Walking Dead: Road to Survival," which broke into the top-25 highest-grossing apps in the Apple app store. 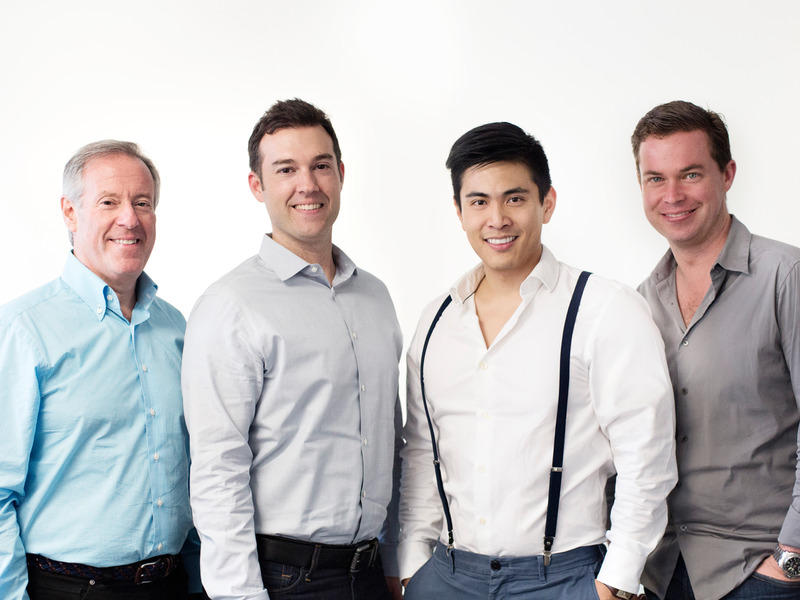 Founded: Walter Driver, Eytan Elbaz, Ankur Bulsara, and Eric Futoran. Funding: $43.5 million from Lerer Ventures, Greycroft Partners, Anthem Venture Partners, and Evolution Media Partners, among others. What it is: Laurel & Wolf wants to take advantage of a Pinterest-obsessed generation and make it easy and affordable to design your dream home. People searching for a new look can take a survey about their style, upload pictures and information about the space, and post their project. Typically, three to five designers respond with their ideas so you don't have to settle on one from the start. Founded: 2014 by Leura Fine and Brandon Kleinman. Funding: $31 million, including funds from Benchmark Capital and Tim Draper. Parachute wants to make a comfy night's sleep affordable. What is it: Parachute is leading the direct-to-consumer revolution when it comes to one thing you use every day: sheets. It produces the high-quality bedding from a factory in Italy and then sells it only through its website and one store at its headquarters in Venice Beach, California. Parachute bedding has gained a bit of a cult following, and now even co-living startups are advertising that they have Parachute sheets with Casper mattresses. Plus, every time a customer buys a set of its Venice line, the company donates a mosquito net to help kids in Africa have a safe sleep. Founded: 2014 by Ariel Kaye. Funding: $5.4 million from Upfront Ventures, Joanne Wilson, QueensBridge Venture Partners, and Structure Partners, among others. Service deals with the hassle of customer service for you. What it is: Launched in June 2015, Service is a buzzy startup that wants you to stop tweeting at airlines and let it solve your customer problems for you. The company will sit through the hold music and annoying "Press 1 for ..." messages to handle whatever problems you have. Its users simply fill out a request form and affix any info a Service agent might need, like a reservation number, and its agents take care of the rest. Founded: 2015 by Michael Schneider. Funding: $3.7 million from Arena Ventures and Founders Fund. Dollar Shave Club offers a monthly subscription for razors, but wants to turn it into a men's-lifestyle brand. 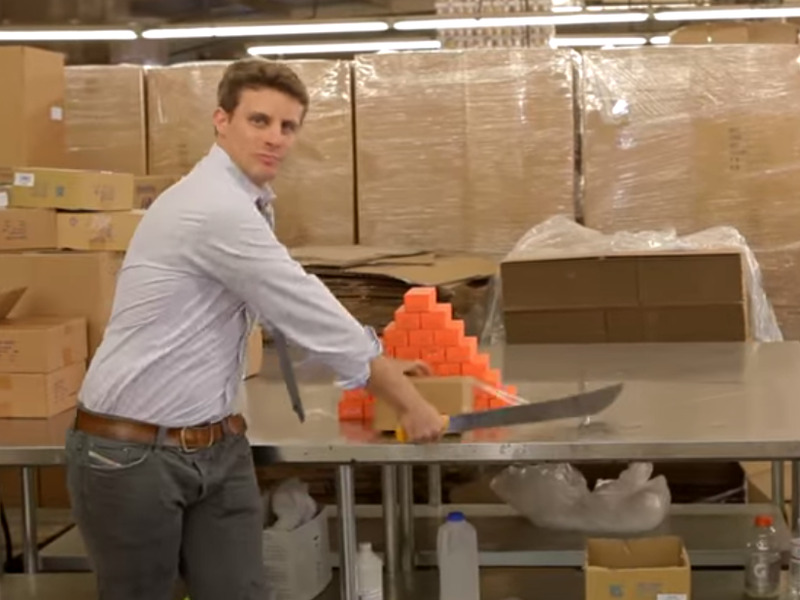 What it is: After a kooky YouTube-video commercial went viral, Dollar Shave Club has built a razor empire by shipping new blades to your doorstep monthly. But, despite its name, Dollar Shave Club doesn't want to just stop with shaving. Its CEO, Michael Dubin, who's in all the commercials, wants men to have a grooming brand they love and that keeps them entertained. The company has expanded from razors to shaving butter, bathroom wipes, face moisturizer, and hair gel. Founders: 2012 by Michael Dubin and Mark Levine. Funding: $164.65 million by Technology Crossover Ventures, Venrock, Shasta Ventures, Kleiner Perkins, and Andreessen Horowitz. 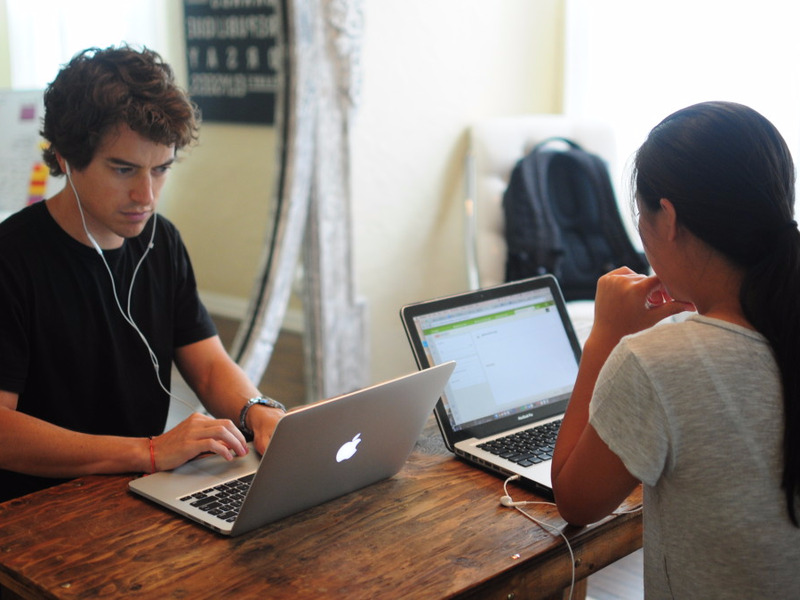 Mitú wants to toss out the soap operas and redefine Latino media. What is it: Latino media is typically thought of as soap operas, and that's about it. Mitú wants to change that and create content for the young Latino millennial — one who likely speaks English and Spanish. It's done videos like "Abuelitas Try Tinder," where grandmothers write their Tinder profiles, or "Cholos Try," where young Hispanic men try weird yuppie foods like kale chips and kombucha. Founded: 2012 by Roy Burstin, Beatriz Acevedo, Doug Greiff, and Pedro Blanco. Funding: $45 million from Advancit Capital, Upfront Ventures, Northgate, and the Chernin Group, among others. Mobcrush wants you to watch people play video games on their phones. What it is: Twitch made a fortune live-streaming computer games for people to watch, but it hasn't done much with mobile gaming. That's where Mobcrush steps in. The company specializes in streaming games people play on their phones, like "Hearthstone," "Minecraft Pocket Edition," or even "Candy Crush," and broadcasts them to the world. Like Twitch, viewers can chime in with their questions for the gamers, too. Founded: 2014 by Royce Disini. 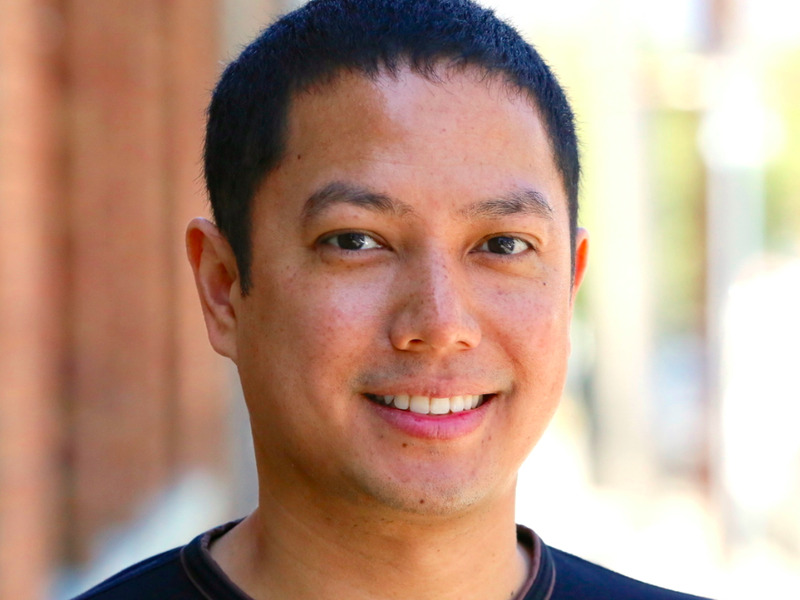 Funding: $15.9 million from Kleiner Perkins, First Round Capital, and Lowercase Capital. Clutter gets rid of your clutter and puts it in storage for you. What it is: While many startups have tried to pack life up into boxes, Clutter quickly realized that storing objects didn't mean finding the right box. Instead, Clutter's approach is to use trained movers to move objects from your house and into storage — and to accept objects of all sizes. The items are photographed and put in an online catalog as they're whisked away to a storage facility. When a customer needs their winter clothes back, it's as easy as a few taps in an app to select them to be returned to you. Founded: 2013 by Ari Mir, Brian Thomas, and Tony Sziklai. Funding: $13.6 million from Sequoia Capital and angel investors. 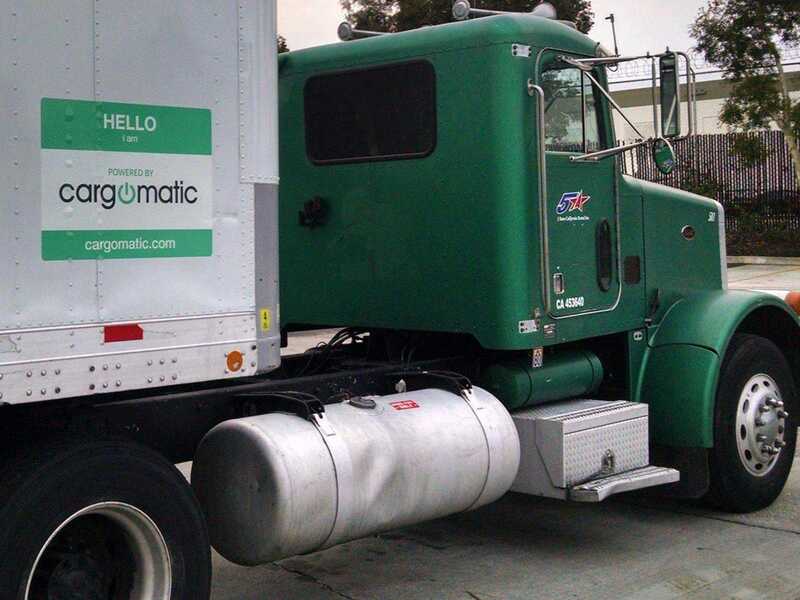 Cargomatic is the "Uber for trucking." What it is: Cargomatic matches local companies with trusted trucking services to transport goods from points A to B. Backing the company are some of the earliest investors in ride-hailing giant Uber. Cargomatic's premise is to cut down the hassle for truckers and make sure their trucks are full before making a trip. 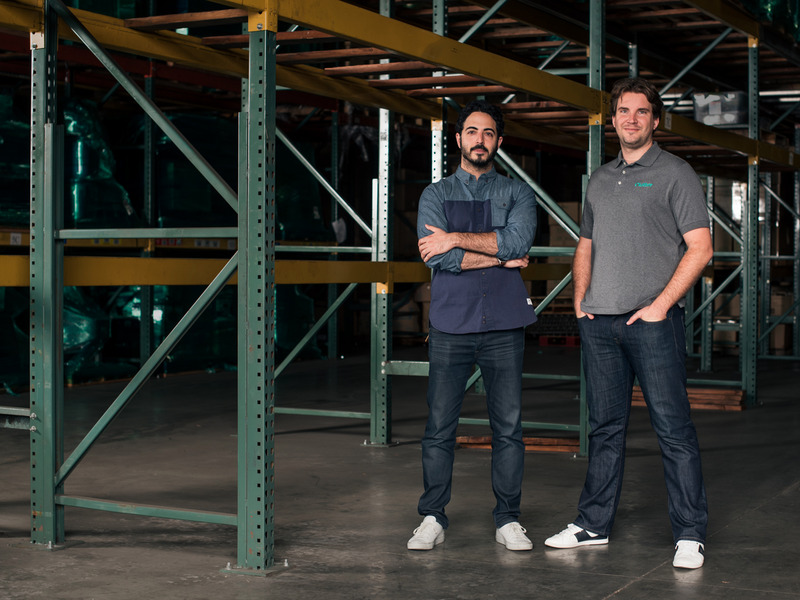 The app connects businesses or people looking to move goods, whether a shipping container or an office move, and pair them with truckers looking for extra work. Founded: 2013 by Jonathan Kessler, Brett Parker, and Martin Hendleman. Funding: $12.18 million by Volvo Group Venture Capital, SV Angel, Canaan Partners, and Sherpa Ventures, among others. DogVacay is like Airbnb for dogs. What it is: Like an Airbnb for dogs, DogVacay connects pet owners with dog sitters to find a better — and less expensive — alternative than a kennel. But in a major difference from Airbnb, not anyone can sign up to be a dog sitter. The company has a strict vetting process and only accepts and trains a smaller portion of the applicants. And since dogs are man's best friend, the company has a huge insurance policy and dedicates around half of its staff for on-call 24/7 support in case something goes wrong. 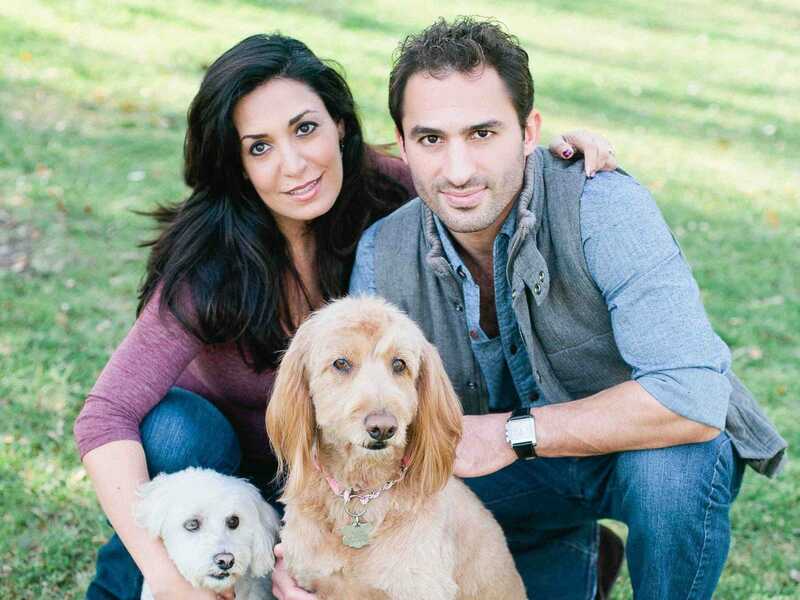 Founded: 2012 by Aaron and Karine Hirschhorn. Funding: $47 million from investors, including First Round Capital, Benchmark, Sherpa Ventures, and Science Inc. Thrive Market wants to bring Costco prices to fancy organic food. What it is: Costco is great for buying in bulk, but you're not likely to find huge quantities of high-quality of coconut oil in the aisles. That's where Thrive Market sees an opportunity. It's most often described as a mix between Costco and Whole Foods, since the site requires a subscription for the year, but once you're a member it unlocks prices 25% to 50% lower than what you'd find at your neighborhood Whole Foods. Founded: 2013 by Gunner Lovelace, Nick Green, Kate Mulling, and Sasha Siddhartha. Funding: $30 million led by Greycroft Partners. Burner lets people create new phone numbers — and destroy them — so they don't have to keep handing out a personal cell number. What it is: From Ad Hoc Labs, Burner is the mobile app that lets people reclaim privacy by creating burner phone numbers. Although a burner phone is normally associated with nefarious dealings, the app gives people a way to control more of their privacy. It's widely used by everyone from Airbnb hosts to Craigslist sellers who don't want to give out their personal numbers. The company is also turning it into a business tool, and in 2015 announced connections to Slack and Dropbox so Burner users can turn their phones into tip lines or a customer-service centers. Founded: 2012 by Greg Cohn and Will Carter. 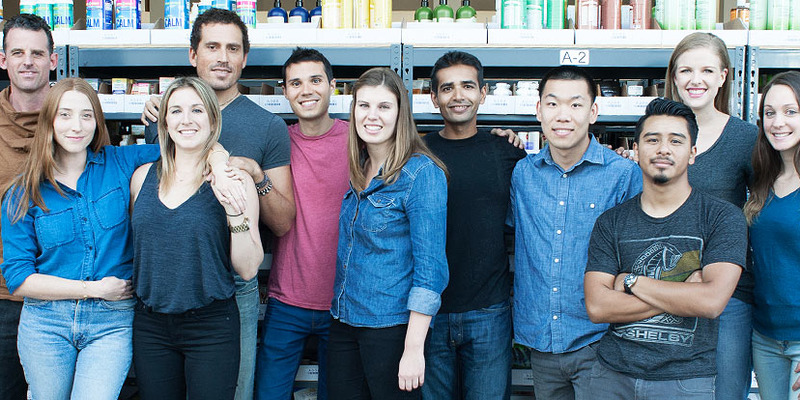 Funding: $2.9 million from Founder Collective, Semil Shah, and Venrock. Heal wants to bring back the house call. 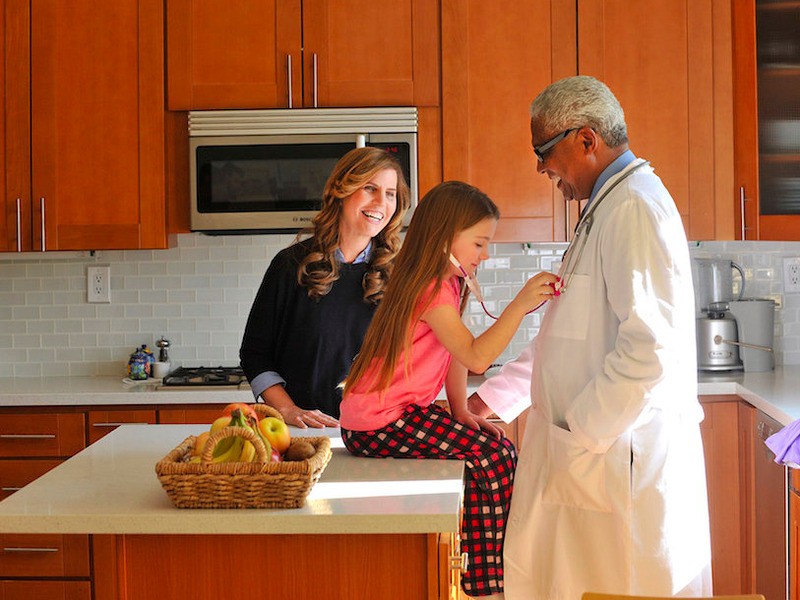 What it is: Many companies are trying to bring back doctors who do house calls. Heal is one of the few that actually works with your insurance to do so. Depending on your provider, you either pay Heal $99 or your typical copay to have a doctor dispatched to your door. An on-demand doctor can't take care of a broken arm or tend to any serious medical condition, but for colds and allergies, Heal's doctors on demand can bring the convenience to you. Founded: 2014 by Reena Dua, Nick Desai, and Greg Dubnick. 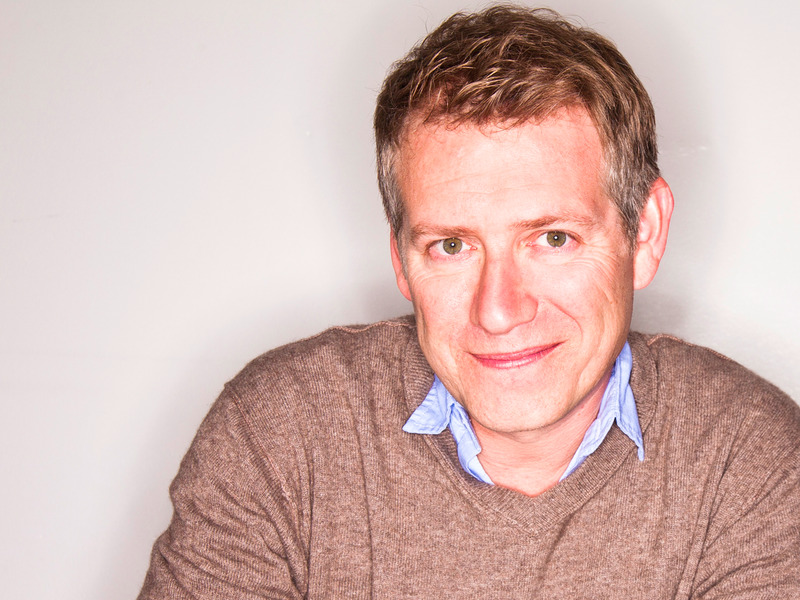 Funding: $8.7 million from Slow Ventures, March Capital, and Lionel Ritchie. Victorious helps a generation of Vine and YouTube stars connect with fans. What it is: For a digital star on the rise, there hasn't been a great place to connect with fans or even have fans find each other. Enter Victorious. The company helps a new wave of teen heartthrobs — think Vine stars like Nash Grier — find and reach their superfans by creating their own apps. In addition to having one place to push out everything from YouTube videos to Instagram posts, Victorious also lets the creators who use its platform make money from ads and e-commerce. Founded: 2013 by Dean Gilbert, Sam Rogoway, Michael Todd, and Bing Chen. 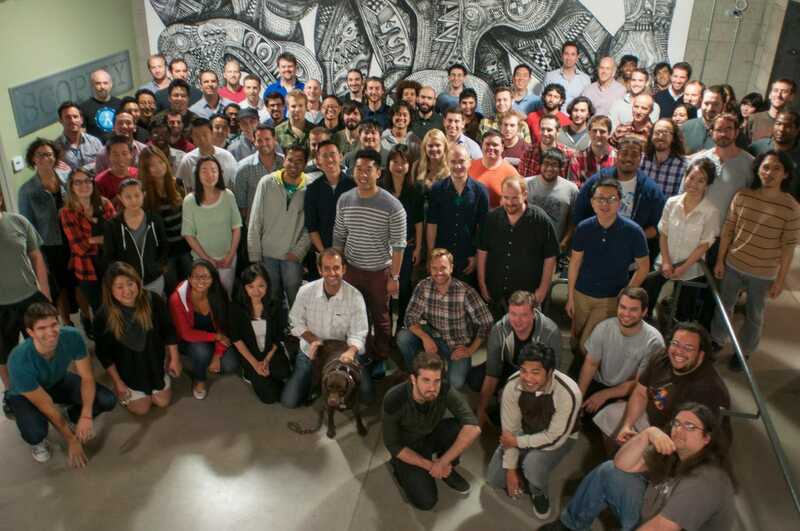 Funding: $25 million from Lowercase Capital, Kleiner Perkins, Redpoint Ventures, and Freeland Ventures, among others. uBeam wants to charge your phone using sound waves. What it is: uBeam wants to revolutionize how we use electronics with wireless charging. In October 2015, the company revealed how it will convert ultrasound waves into energy using transmitters and receivers on your phone case. But it's not stopping there. 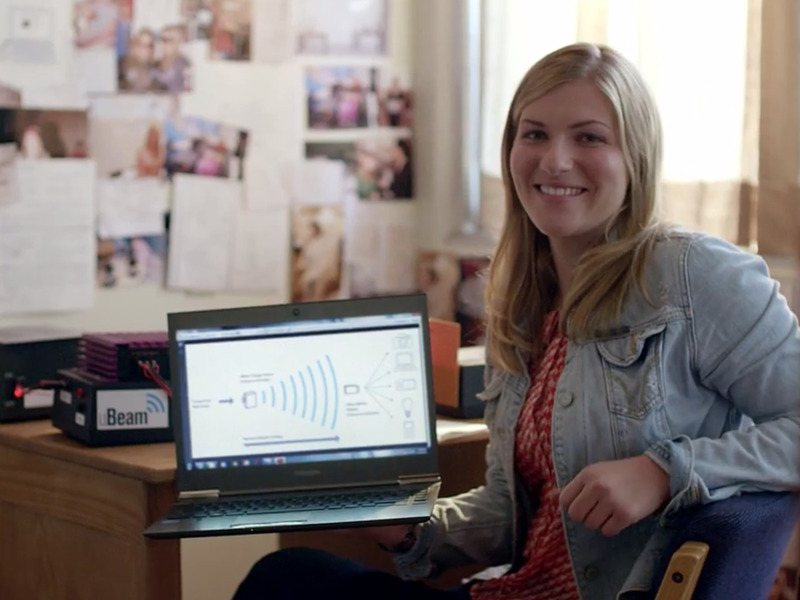 In February 2016, uBeam's CEO, Meredith Perry, said its ambitions are much larger: It not only wants to charge your phone, but also send data to it using sound waves. Founded: 2011 by Meredith Perry. 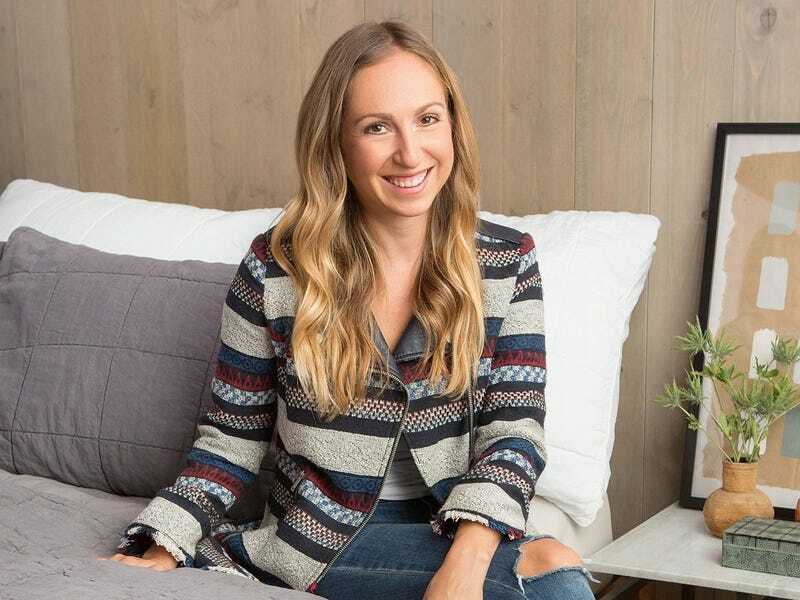 Funding: $30 million from Upfront Ventures, Katie Jacobs Stanton, Ken Hertz, Marissa Mayer, and Andreessen Horowitz, among others. 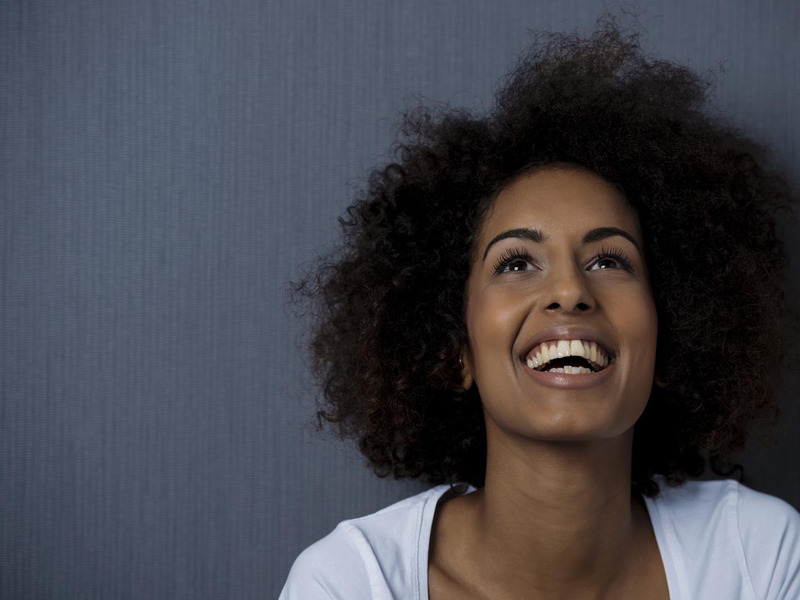 InVenture wants to bring credit to Africa. What is it: In the US, people give a lot of power to your credit score. Whether you can buy a house, rent an apartment, or get a good deal on a car often depends on your creditworthiness as tracked by a few big institutions. Yet for people who don't live in a financial system that tracks you over several years, securing a loan can be hard — no credit score, no loan. Santa Monica-based InVenture wants to solve this by taking a look at the person as a whole rather than assigning a strict number. The company has launched apps in Kenya that track how a person spends money and how much is coming in. InVenture also looks at more than 10,000 points — for instance, a person whose phone calls last more than four minutes might have stronger relationships, and therefore may be more credit-worthy. It's worked so far. The company boasts an 85% repayment rate and a 75% repeat rate among its first customers, according to Fast Company. Founded: 2011 by Shivani Siroya and Tom Schumacher. Funding: $12.2 million from Lowercase Capital, Google Ventures, and Data Collective, among others. CrowdStrike stops cyberattacks before they happen. What it is: Companies are spending big to protect themselves from cyberattacks, and CrowdStrike has become one of the go-tos. The Irvine, California-based company is known for being able to install its software quickly across large businesses, saving IT a major headache. Then, CrowdStrike looks for weak points and signals that an attack is beginning. 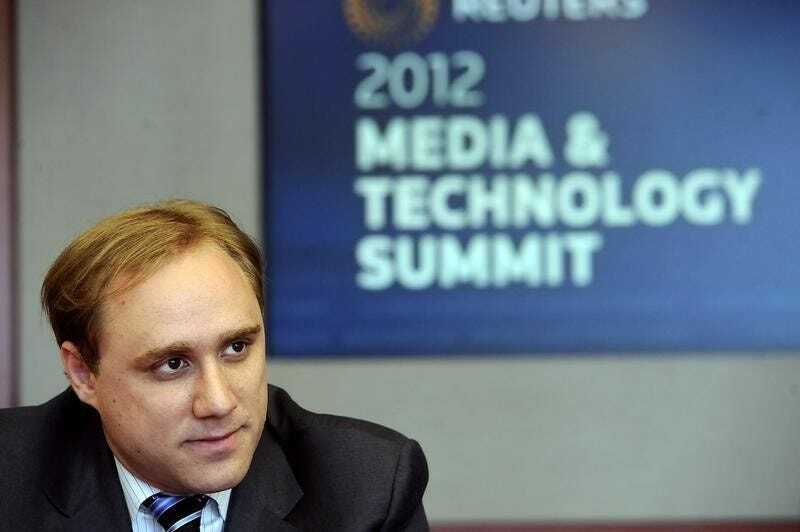 While most security companies are focused on identifying the type of attack, CrowdStrike's CEO, George Kurtz, compares it to a gunshot. It doesn't matter whether it was a 9 mm or a .45 caliber, he told The New York Times — you just want to know it's coming so you can get out of the way. Founded: 2011 by George Kurtz, Gregg Marston, and Dmitri Alperovitch. Funding: $156 million from Google Capital, Accel, Warburg Pincus, and Rackspace, among others. HomeHero finds a caregiver you can trust to take care of your parents. What it is: HomeHero wants to make it easy to care for your aging parents by matching in-home care to people who need it most. The company uses matching algorithms to sort through caregivers to find a best pick for your parents. Customers can watch videos of interviews with the HomeHero before deciding on who to send to their houses. HomeHero also then provides daily reports and a home-security system so you can also watch to make sure your parents are getting the care they deserve. Founded: 2013 by Kyle Hill and Mike Townsend. Funding: $23 million from Social + Capital, Jason Calacanis, Tencent Holdings, and Science Inc.
HopSkipDrive will take care of driving your kids to and from school or sports. What it is: The idea of putting your kid in a car with strangers would frighten most parents, and that's why HopSkipDrive was founded by three parents who wanted to build a safe alternative to Uber for kids. The company prides itself on trust and safety, so every ride is monitored en route and its drivers are instructed to go into the schools to sign out children or drop them off at the park. As a result, the company views itself not as an Uber alternative but as caregivers on wheels. 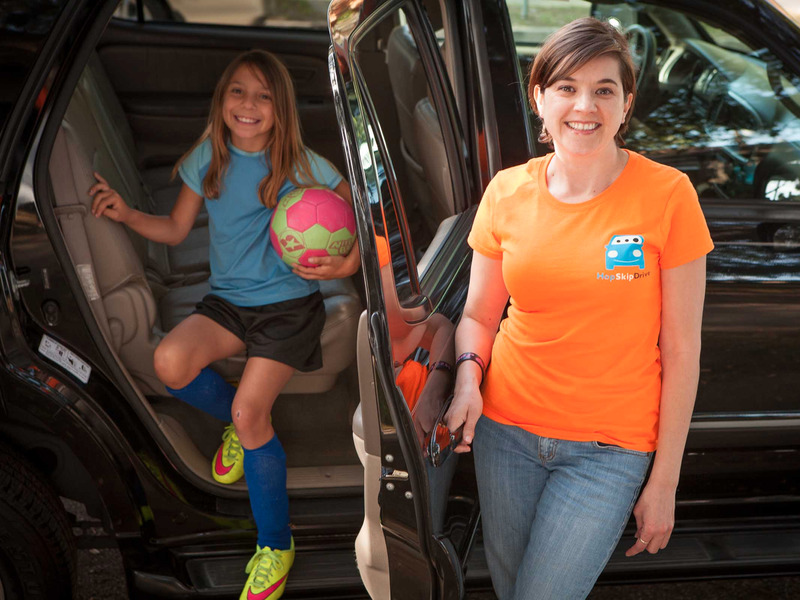 Its customers use HopSkipDrive to take children to and from after-school activities or as a safe backup for when that neighborhood carpool falls through. Founded: 2014 by Joanna McFarland, Janelle McGlothlin, and Carolyn Yashari Becher. Funding: $14 million from FirstMark Capital, Greycroft Partners, and Upfront Ventures, among others. Soylent is the meal replacement techies still love. What it is: Soylent is an easy-to-mix meal substitute favored among techies that claims to give you all the nutrients your body needs. When you order Soylent, you get a pouch of a powdered substance and a small bottle of oil. You combine these, add water, mix it up, and drink it. 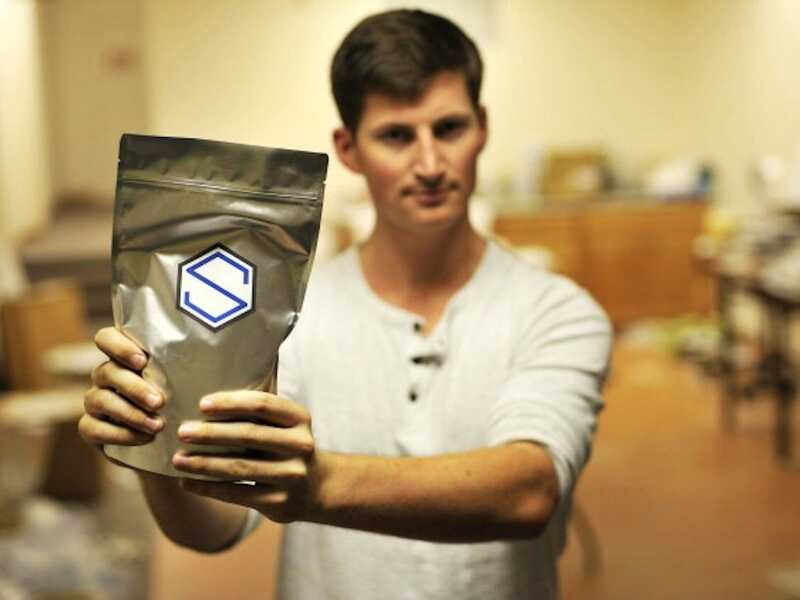 The company says one jug of Soylent will fill you up and provide all the calories and nutrients you need in a day. Founded: 2013 by Rob Rhinehart, Matthew Cauble, David Renteln, and John Coogan. Funding: $21.5 million from Andreessen Horowitz, Lerer Hippeau Ventures, and Index Ventures, among others. 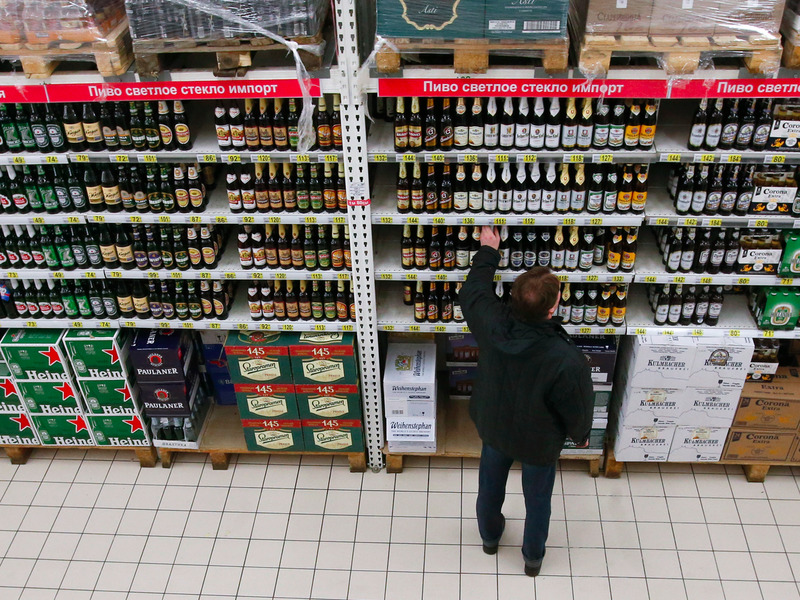 Saucey saves you a trip to the store and brings the alcohol to you. What is it: Saucey wants to take the Uber model and deliver you alcohol in under an hour when you demand it. There are plenty of startups, like Thirstie and Minibar, that are similar, but Saucey's supporters think it has the tech to beat them. Its CEO, Chris Vaughn, once told Fortune about an order for 45 bottles of Patrón. Rather than have one person drive around stores until he could get 45, the system immediately broke it down into three stores and three drivers so the company could meet its delivery window. Founded: 2013 by Chris Vaughn, Andrew Zeck, and Daniel Leeb. Funding: $4.5 million from Blumberg Capital, Scooter Braun, and Nick and Joe Jonas, among others. 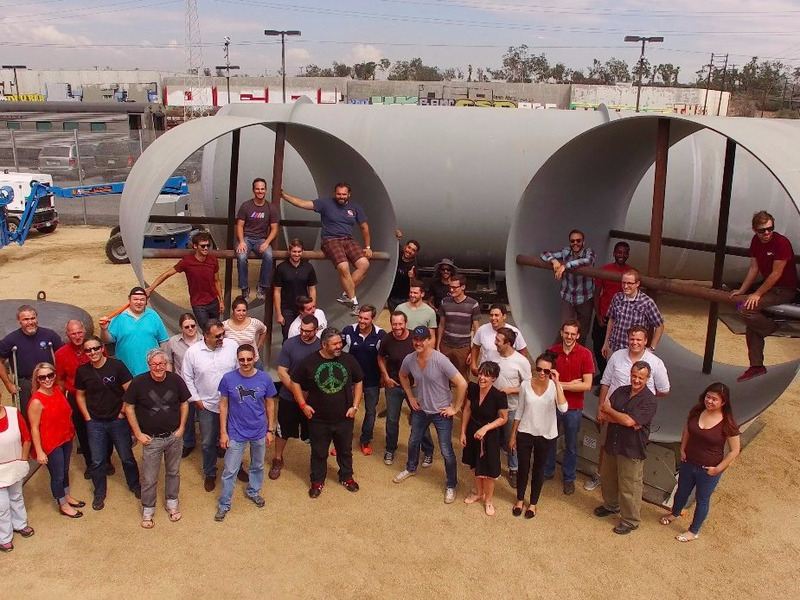 Hyperloop Technologies wants to build the future of transportation. What it is: In the backyard of SpaceX, another LA company wants to make Elon Musk's dreams come true. Musk introduced the concept for the Hyperloop in 2013. Think of it as a pneumatic tube, like the kind used at the drive-thru of a bank, but one that transports people instead. By creating a special environment inside a sealed tube, the pod of people could move quickly between locations but at a fraction of the energy needed to power traditional transportation like trains or planes. Founded: 2014 by Shervin Pishevar and Brogan BamBrogan. Snapchat lets people send disappearing photos to their friends — and that's just the basics. What it is: Snapchat may be the most well-known company on this list, but there's no denying that the startup continues to innovate and remains one of the hottest startups in Silicon Beach. The popular app started as an easy way to send photos to friends, only to have the images disappear as soon as you saw them. Since then, LA's most well-known startup has created the hit social app that teens — and increasingly older users — are obsessed with. Its Live Stories feature provides updates on what's happening around the world. It has even convinced media companies to get involved. Its Discover section has sites like Cosmopolitan to CNN finding new ways to tell stories through the Snapchat platform. 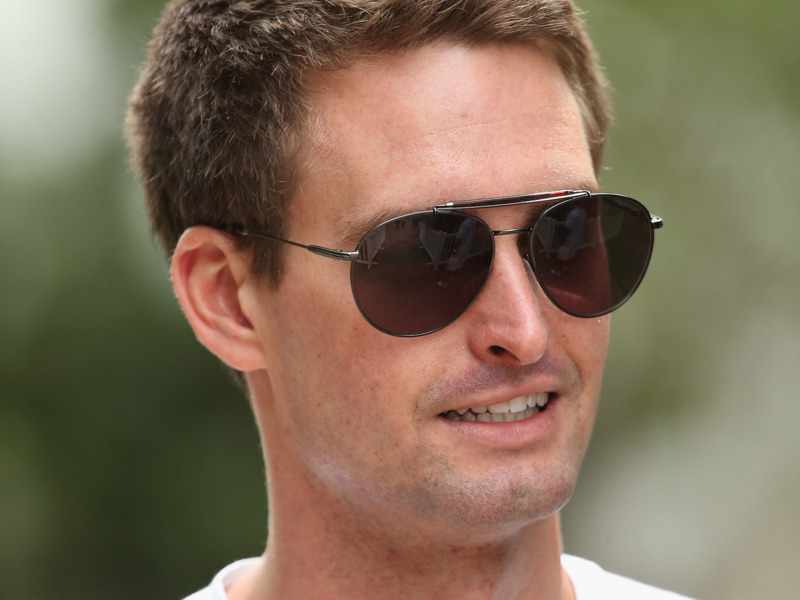 Founded: 2011 by Evan Spiegel, Bobby Murphy, and Reggie Brown. Funding: $1.19 billion from investors, including General Catalyst, Benchmark Capital, IVP, and Lightspeed Venture Partners.